Let’s face it; traveling with your kids in tow is not a walk in the park. Children can get tired easily and their short attention span can get them immediately bored being ushered everywhere. You have to be parents during the whole trip and it can get exhaustive and expensive as well. Nevertheless, if taking your kids is the only way to go, and you can afford the extra costs, then bringing them along can also be one of the most exciting things you can do as a family. A trip to Europe can add up to wonderful memories that you all make together as you introduce your children to a wider world. With kids along, here are top five places to visit that are kid-friendly. Sicily, Italy. Located in the middle of the Mediterranean, this island is surrounded by seas and is endowed with nature’s beauty – beautiful coastlines and lush mountains and hills. It is the perfect place for vacationing with children as it offers a lot of possibilities to keep the young ones occupied and entertained. The beaches are perfect for playing around for the presence of fine sand and warm, crystal clear waters. In addition, you can bring your family on nature excursions in the mountains where they can have the opportunity to watch the wildlife of the area. Biking and horseback riding in the Madonie Mountains is also a fun activity. You can also bring the children to various amusement and water parks where you can spend the whole day trying all the rides and watching the attractions. Go exploring archaeological ruins that dot the whole island from west to east. To top that off, an exhilarating trip to Mt. Etna would surely excite the whole family. It is good to remember that you need to find suitable holiday rentals in Sicily way before your trip since accommodations tend to get booked up instantly. Copenhagen, Denmark. This city is definitely a kid-friendly place with its fairytale atmosphere. Castles that kids have seen in their story books will surely get them excited as they recall stories of heroes and princesses. The brightly coloured buildings are already good enough to inspire them to explore the place. Moreover, you bring them to visit one or both of the oldest amusement parks in all of Europe. Then, usher them to the Blue Planet which is the biggest aquarium in Northern Europe and which will, without doubt, enthrall the whole family with the many scenic attractions there are – walls of water and 20, 000 animals! Then a picnic in one of the numerous parks will get the children to romp around freely. Paris. 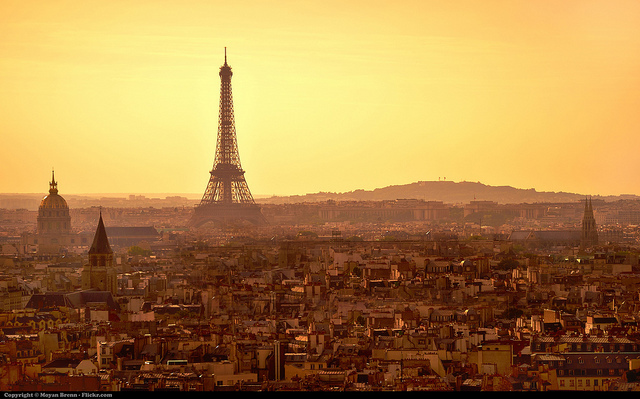 Probably the most popular of all European cities, especially with the allure of the Eiffel Tower. As you make your around, you will be delighted with the many sights and sounds. There are street performers in every corner and your senses will be tickled with the alluring smells of freshly-baked goodies. Visit the Luxembourg Gardens to allow your kids to have fun with the carousel, race sailboats and be amazed by the 100 statues that you can find lined up in the park. There are various museums and parks that can fill up your days. Everything is accessible with the efficient metro system they have. London, England. This is the birthplace of every classic childhood characters that include but is not limited to Peter Pan and Harry Potter. Both adults and children alike will find this place thrilling to visit as there are so many sights. A picnic at St. James Park is an ideal way to frolic in the open air, after which you can walk past the Buckingham Palace and be reminded of stories of royalty. You can get the children entertained with a visit to the Tower of London where you can see weapons and crown jewels. Barcelona, Spain. This is a bustling city that will surely make your visit with your kids spectacular. Drop by La Rambla to watch street performers swallow fire and juggle swords and do a lot of other amazing stuff that children will find magical. If you love chocolate, bring the family to the Chocolate Museum where you can have a hands-on experience with making chocolate and get to taste them, too! It would be like a real Willy Wonka Chocolate Factory experience!